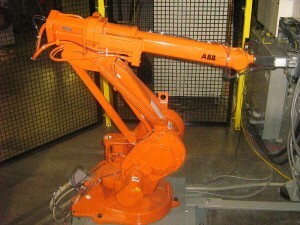 The Mold Tending Robot is used to automatically load parts into an injection molding machine. The robot allows new parts to be easily programmed. 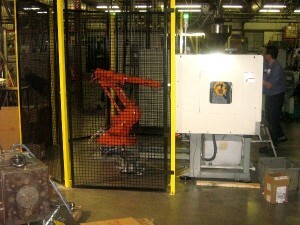 To see our Mold Tending Robot Videos please click here to request a private link.